Vitality. Passion. Tranquility. Do any of these words currently describe you? 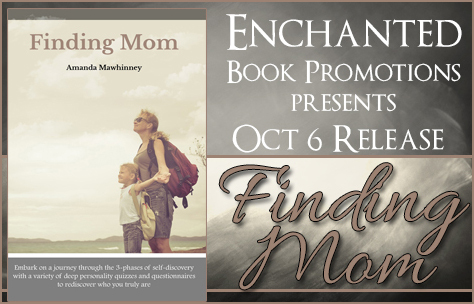 Finding Mom will reawaken your dreams and help you to find and reinvent yourself. There’s a giveaway for a $50 spafinder gift card during the release! Also, anyone who emails a proof of purchase during launch week (Oct 6 – Oct 13) will receive a free PDF copy of another one of the author’s books, Frugal Family Fun.